Business Interruption Insurance (BII), which is intended to compensate the company for income lost in the event physical damage renders it inoperable for a period of time, can provide so much value in so many ways. Above and beyond basic BII coverage, you have a couple of add-ons. Extended Business Interruption Insurance provides coverage for losses sustained after repairs are complete but before income returns. It is typically limited to a finite period of time. Contingent Business Interruption Insurance provides coverage for income lost as a result of physical damage, not to the insured’s property, but to the property of providers, suppliers or consumers of its products or services. 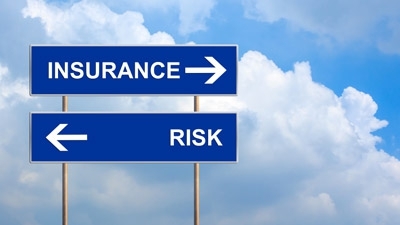 To recover BII benefits, the business must prove it sustained damage to property covered by the policy and that the damage was caused by a peril listed in the policy. Additionally they must prove the property damage caused them to lose business income. The loss must be a direct result of that interruption and not linked to any other factor. All BII policyholders are required to use the same basic formula to calculate claims based on lost net profits. If a company sells a product for $200 and spends $170 assembling or acquiring it, its policy will cover $30 per loss. Dollar limits are determined by an estimate of the company’s total potential net profit losses. I think BII is necessary for most businesses, but it is important to note that purchasing any coverage is not going to be good enough. You need to be so careful to select the policy that works for your business. Recently, I worked with one firm that produces wood products in a very large factory. They purchased BII for a reasonable amount of money, and their policy has been in effect for more than 10 years. Then about six months ago, the factory burned to the ground. The owner and managers knew they had a $3.2 million BII policy to fall back on, but for months, the insurance company refused to pay the claims citing improper paperwork. Out of desperation, the firm hired their own adjuster and is finally making progress towards getting some cash out of their policy. This company had BII insurance, but if the owners had not been able to bankroll the operation, they would not have survived. They would have gone belly up while trying to straighten out these issues with their policy. When I asked the company what they learned from this very difficult situation, they said they should have read their policy carefully. Their policy was 100+ pages, and they just had not taken the time to go through it when they purchased it. Now go out and determine if you need Business Interruption Insurance. If you do, be sure to read your policy in detail so you understand the risks the insurance company is taking and the risks you are taking.